In the second of two blog posts, Aidan O’Neill QC considers the growing body of case law regarding the CJEU’s use of the Charter of Fundamental Rights. “65. Since the applicant does not meet either the conditions governing admissibility laid down in the Plaumann judgment or those applicable to actions that seek to safeguard procedural rights, it must be concluded that the applicant lacks standing to bring an action against the clearance decision. 66 That conclusion cannot be called into question by the arguments of the applicant relating to its right to effective judicial protection, the importance of which is emphasised by the Lisbon Treaty, in particular by the binding force acquired by the Charter of Fundamental Rights of the European Union, and by certain developments in the legal systems of several Member States. In Menarini Diagnostic Srl v. Italy  ECHR 43509/08 (Second Chamber, 27 September 2011) the European Court of Human Rights was faced with a complaint by the applicant company which had been fined some EUR 6 million by the Italian competition authority and had appealed unsuccessfully. The complaint was that the national courts, acting within the ambit of EU competition law, did not have a wide enough appellate jurisdiction against decisions of the relevant competition authority to satisfy the requirements of Article 6 ECHR. Although the Strasbourg Court ruled that on the facts there had been no violation of the requirements of Article 6 ECHR it did make it plain that fines in competition law cases constituted the imposition of substantial financial penalties such as to bring their imposition within the criminal limb of Article 6 ECHR, notwithstanding that they are not classified as penal under and in terms of national law. The national authorities were therefore required to ensure that their administrative procedures in competition matters that could result in the imposition of penalties and fines offered equivalent guarantees to the defendant that an accused was offered in criminal proceedings. “[I]n all proceedings in which sanctions, especially fines or penalty payments, may be imposed, observance of the rights of the defence is a fundamental principle of Community law which must be complied with even if the proceedings in question are administrative proceedings (see, in particular, Case C‑194/99 P Thyssen Stahl v Commission  ECR I‑10821, paragraph 30). … Observance of the rights of the defence requires, in particular, that the undertaking under investigation is put in a position during the administrative procedure to put forward its point of view on the reality and the relevance of the alleged facts and also on the documents used by the Commission (see Case C‑310/93 P BPB Industries and British Gypsum v Commission  ECR I‑865, paragraph 21).’). “1. Every person has the right to have his or her affairs handled impartially, fairly and within a reasonable time by the institutions, bodies, offices and agencies of the Union. “67 Article 41 of the Charter, entitled ‘Right to good administration’, states, in paragraph 1, that ‘[e]very person has the right to have his or her affairs handled impartially, fairly and within a reasonable time by the institutions and bodies of the Union’. An increasing number of challenges have been made to the Convention compatibility of the EU’s procedures in EU competition law cases because of the institutional roles of the Commission as promoter and prosecutor, investigator and enforcer of EU competition law. None of these challenges has, to date, been successful before the CJEU, albeit that lip-service is always paid by the EU courts to the principle of due process and respect for the rights of the defence and the right to good administration. For example, in Case T‑348/08 Aragonesas Industrias y Energía, SAU v. Commission 25 October  ECR II-nyr, the General Court confirmed that the presumption of innocence proclaimed in Article 47 CFR applied to procedures relating to infringements of the competition rules applicable to undertakings that may result in the imposition of fines or periodic penalty payments given the nature of the infringements in question and the nature and degree of severity of the ensuing penalties. This meant that the Commission is obliged to produce sufficiently precise and consistent evidence to support the firm conviction that the alleged infringement took place. 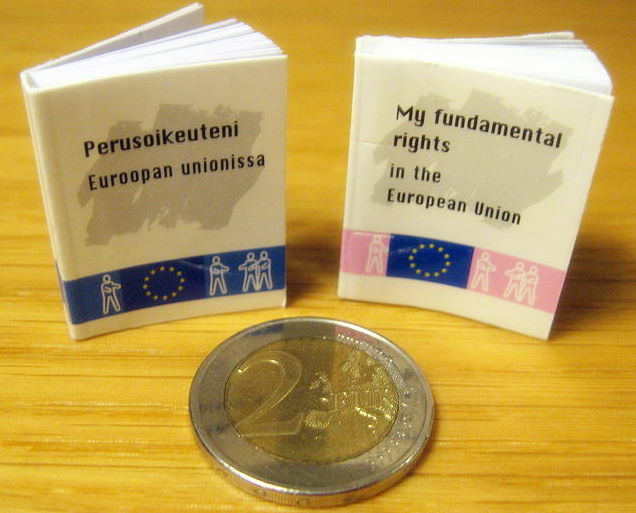 “54 As regards the review of legality, the Court of Justice has held that whilst, in areas giving rise to complex economic assessments, the Commission has a margin of discretion with regard to economic matters, that does not mean that the Courts of the European Union must refrain from reviewing the Commission’s interpretation of information of an economic nature. Not only must those Courts establish, among other things, whether the evidence relied on is factually accurate, reliable and consistent but also whether that evidence contains all the information which must be taken into account in order to assess a complex situation and whether it is capable of substantiating the conclusions drawn from it (see Case C‑12/03 P Commission v Tetra Laval  ECR I‑987, paragraph 39, and Case C‑525/04 P Spain v Lenzing  ECR I‑9947, paragraphs 56 and 57). “[A]lthough the General Court repeatedly referred to the ‘discretion’, the ‘substantial margin of discretion’ or the ‘wide discretion’ of the Commission, including in paragraphs 52 to 54, 99, 114, 136 and 150 of the judgment under appeal, such references did not prevent the General Court from carrying out the full and unrestricted review, in law and in fact, required of it. “[A]dministrative procedures, especially in the area of the control of concentrations, are subject to strict time-limits, compliance with which would be jeopardised if the Commission was required to deal with reactions to its internal communications in the course of the procedure. Consequently, it must be ensured, as in court proceedings, that administrative procedures also take place in an atmosphere of total serenity. It is necessary to avoid exposing administrative activities to external pressure, albeit only in the perception of the public, which would disturb the serenity of the proceedings”. This entry was posted in Current Events, Discussion and Debate and tagged Aidan O'Neill, Human Rights by eutopialaw. Bookmark the permalink.